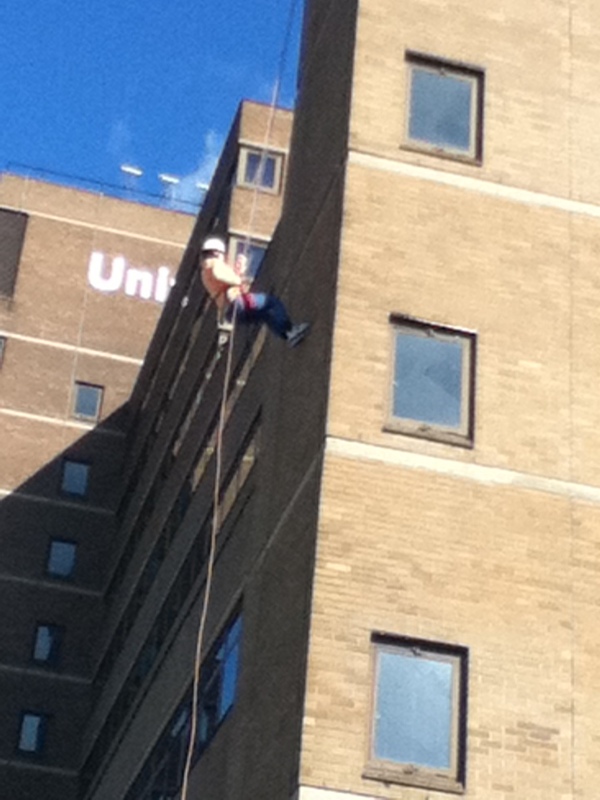 Today I took part in a charity abseil at the University of Huddersfield. 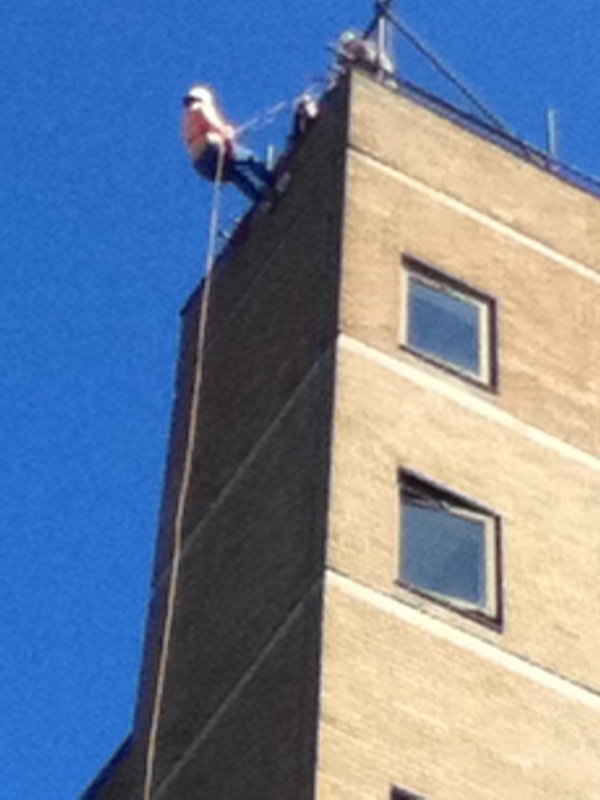 It was a lovely sunny day and the atmosphere at the jump site was exciting although there were a few terrified jumpers screaming as they were lowered over a building edge 100ft from the ground. 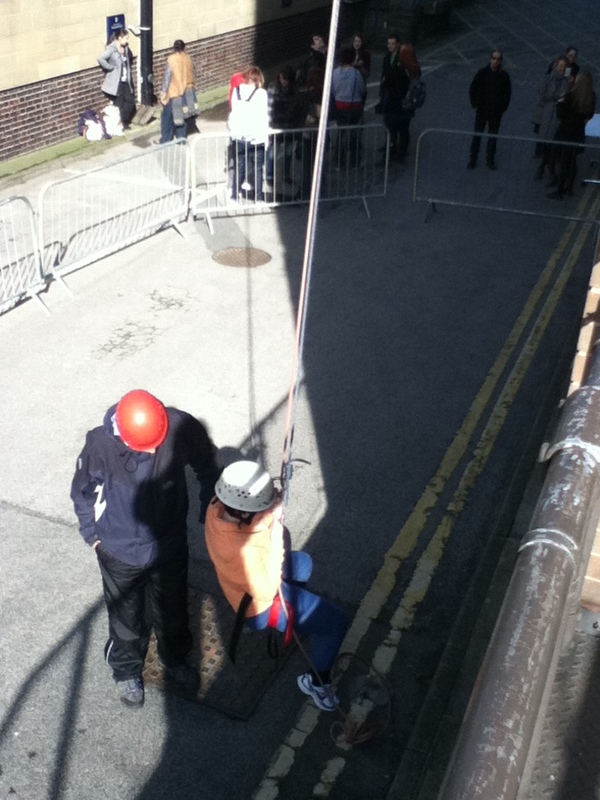 Over a hundred students and staff took part in the event raising funds for four fantastic charities; Barnardo’s, Dewsbury, Batley and District Society for the Blind, Cancer Research UK and The Forget Me Not Trust. Before the event I’d raised £93 and I haven’t stopped fundraising yet. After the event I was interviewed by the University of Huddersfield for their webpage. Click here to view the video. 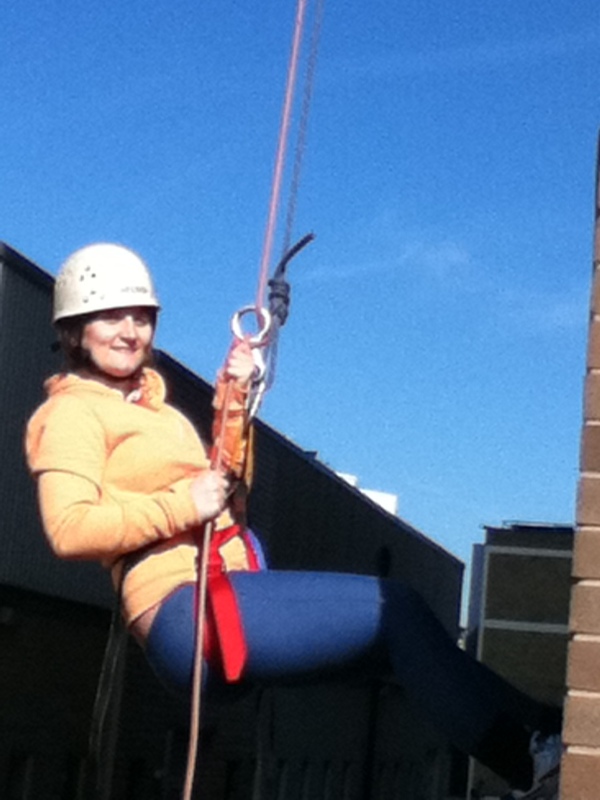 This entry was posted in PGCE by Gemma H. Bookmark the permalink.